POP! 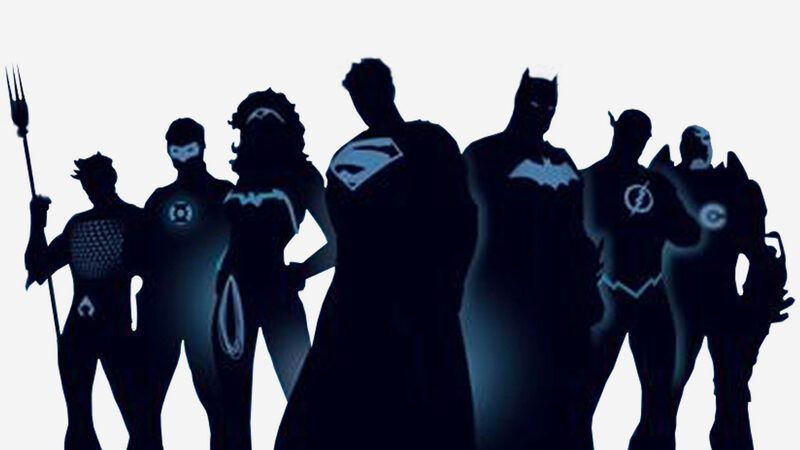 is a retail store where customers may Buy, Sell, and/or Trade items of Pop Culture. We offer Movies, Music, Books, Games, Toys, and other items. 404 E. Perkins Ave., Sandusky, OH 44870, 419-621-1127, Website http://POPsandusky.com. Friday, April 26, 2019 at 12:00 midnight — Midnight Prerelease Tournament. Saturday, April 27, 2019 at 12:00 noon — Prerelease Tournament. Sunday, April 28, 2019 at 12:00 noon — Prerelease Tournament. Description: Sealed Deck Tournament for War of the Spark. Snacks and drinks will be provided for participants. 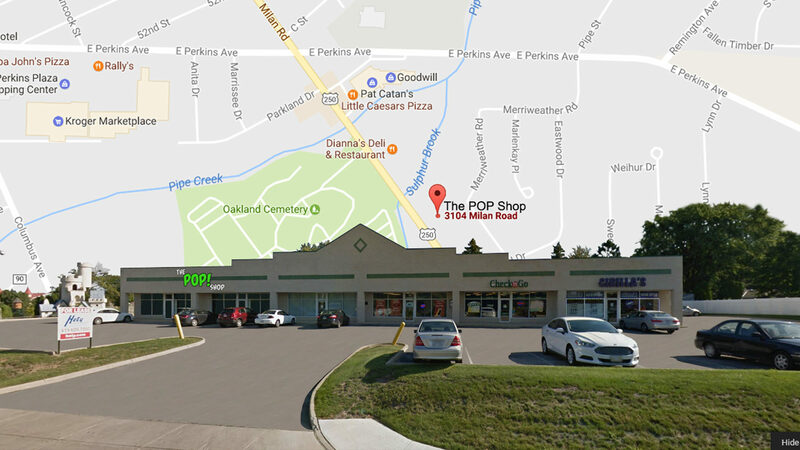 Location & POC: The POP Shop, 3104 Milan Road, Sandusky, Ohio 44870, Telephone, 419-621-1127, [ Facebook ]. Entry Fee: $30 per person. Prizes: Every paid entry will receive a promotional kit that includes a special Prerelease Card & a Countdown Die. 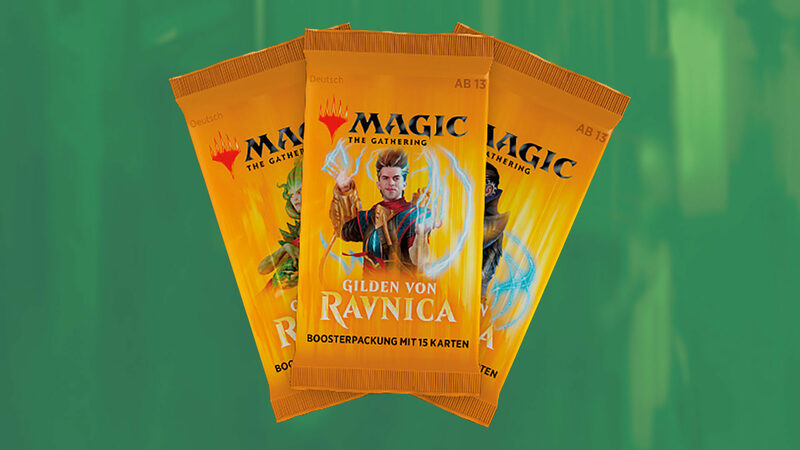 Each Tournament will include 40 War of the Spark booster packs in the prize pool for the top eight finishers. 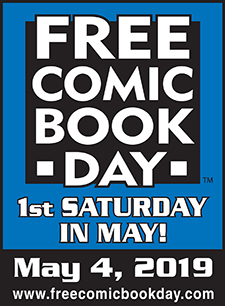 Date: Saturday, May 4, 2019. Time: 10:00 a.m. to 4:00 p.m. Location & POC: The POP Shop, 3104 Milan Road, Sandusky, Ohio 44870, Telephone, 419-621-1127 [ Facebook ]. Prizes: Exclusive Showdown Booster Pack prizes awarded to the top four winners. 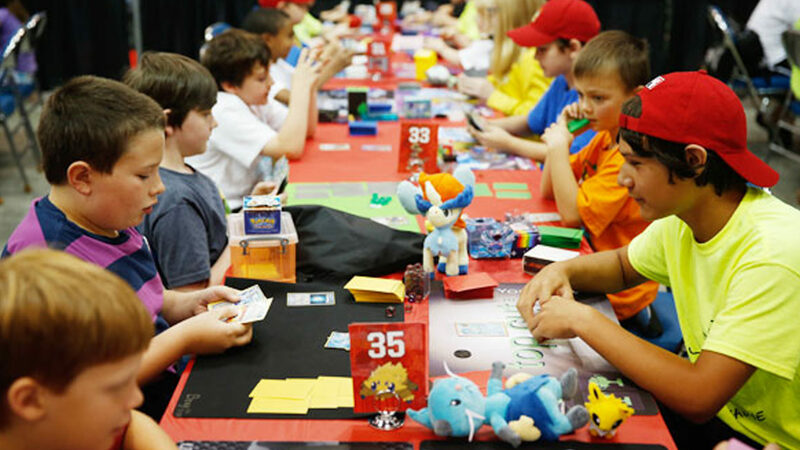 Description:Learn to play the Pokémon trading card game, and participate in an official standard tournament. Entry Fee: League Fee is Free, Tournament Fee is $5. Prizes: The top players will receive store credit. The amount of store credit will be determined by the number of total participating players. 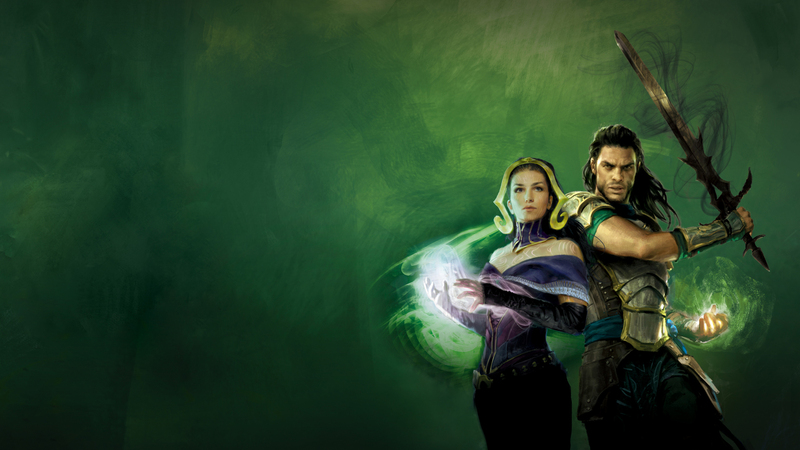 Description: We draft from the current block of M:TG Boosters; currently Guilds of Ravnica. 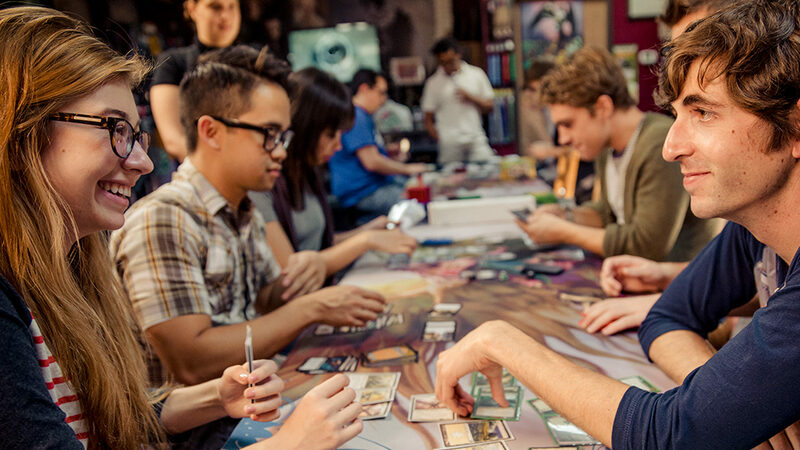 Every paid entry will receive three booster packs to be used in the draft. Format: [ Booster Draft ]. Prizes: For every paid entry, $5 in store credit will be added to the prize pool. Every participant receives a FREE Promo Card. Description: These events will provide all materials needed to play: character sheets, dice, and other implements. All a player has to do is show up with an open mind and willingness to learn. No experience in D&D is necessary, especially as we focus on the basics of storytelling and mechanics. Sessions should last 2-2.5 hours. 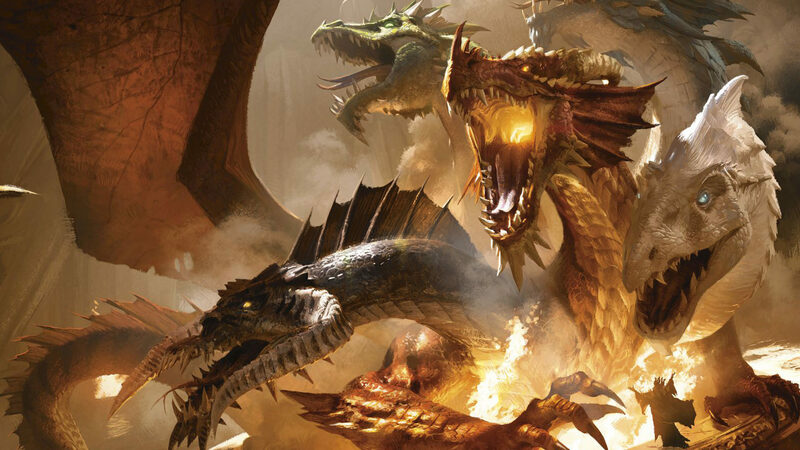 Format: Dungeons and Dragons Fifth Edition. Prizes: All participants will receive fun and a sense of well-being, cleverness and success. Format: Advanced [ Forbidden & Limited Lists ]. 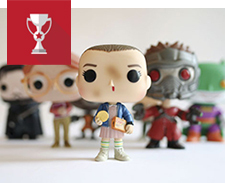 Prizes: 100% payout to top competitors in the form of store credit. Prizes to top 4 (if 8 to 15 players), Prizes to top 8 (if 16 or more players). Commander Pods: 4:00 to 11:00 p.m., Arrive at anytime to participate. FREE Entry. Standard Tournament: Starts at 5:00 p.m., FREE Entry. Modern Tournament: Starts at 7:00 p.m., FREE Entry. Prizes: Prizes for every participating player ! Start Time: 6:30 p.m., arrive at anytime. 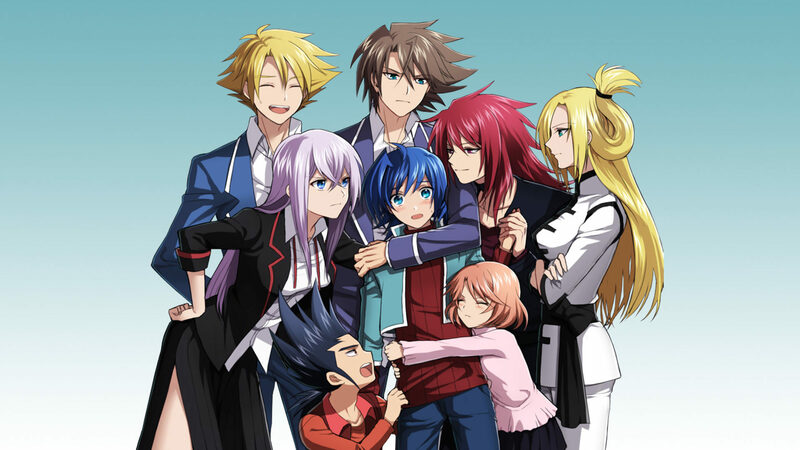 Format: [ Clan Fight ]. Prizes: Each player receives one of the new monthly promo cards. NEW COMIC BOOKS and GRAPHIC NOVELS, in stock EVERY WEDNESDAY after 4:00 p.m., at The POP Shop ! Got stuff you want to get rid of ? We Buy-Sell-Trade ! 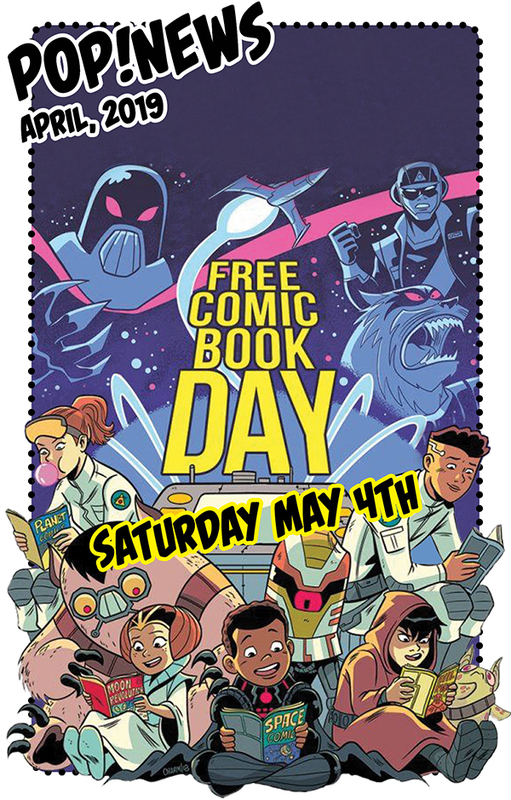 Bring us your: Comic Books ! Action Figures ! 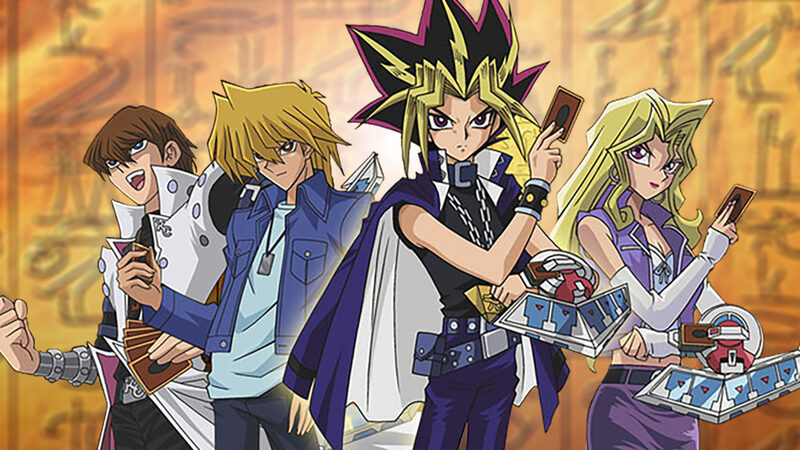 Collectible Card Games ! We offer cash and store credit for items we can sell. We will make you an offer based upon item condition and demand. [ Instagram ] – Follow us on Instagram ! [ Facebook ] – More than 2,058 Likes ! Join the PaRtY ! [ Twitter ] – Stay Informed ! Follow Us on Twitter ! 3104 Milan Road, Sandusky, Ohio 44870. Monday to Saturday, 10:00 a.m. to 9:00 p.m.
Sunday, 12:00 noon to 6:00 p.m.
Closed Easter Sunday, April 21,2019. 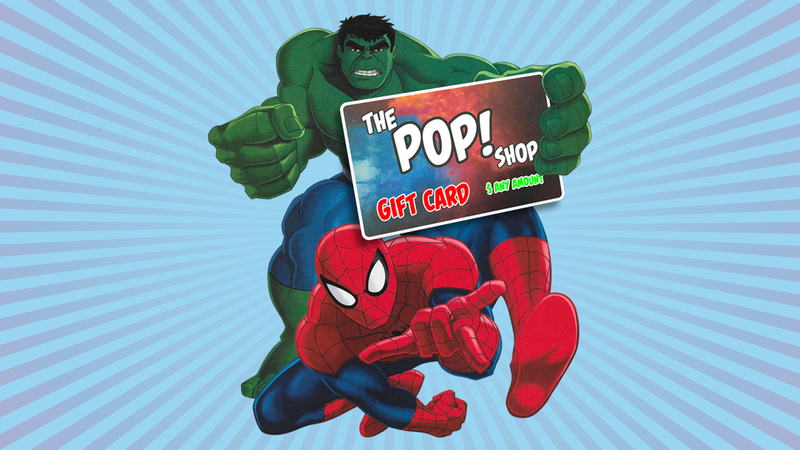 The POP Shop GIFT CARD is available in $ ANY AMOUNT. The perfect gift for birthdays or any occasion !